Color is essential for the creativity of professionals in advertising agencies and the graphic arts environment, so is superior image quality for proofing purposes, and a high production speed. Equally importance is the economical aspect – and Konica Minolta has combined all these merits in the new color production system biz-hub PRO C6500. With its identical high speed of 65 color or black & white pages per minute, the biz-hub PRO C6500 represents a significant new development in the field of full color devices. 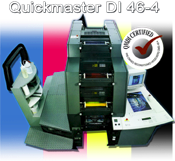 It features Konica Minolta’s advanced color processing technology, and was designed to provide quality, reliability, ease of use, and economy – all essential requirements for every professional! The biz-hub PRO C6500 combines extensive media flexibility with various in-line finishing capabilities, offering to graphic artists, and other users, the creativity required for their design work. At the same time it’s sturdy metal construction, ensures absolute dependability, while the compact design facilitates its integration at locations where space is limited. Convenient operation and ease of use are other attributes that were important development criteria. And a true highlight of the biz-hub PRO C6500 is its remarkable registration accuracy, which ensures perfect results in duplex printing, including brochures and booklets. Thanks to Konica Minolta’s CS Remote Care concept, with the biz-hub PRO C6500 unplanned stand-stills are a thing of the past. And the system’s low overall running costs will surprise even those operating on a tight budget. Exceptional speed and versatility, paired with unparalleled durability and reliability, this is what central reprographic departments, print-for-pay providers, and many commercial printers look for in a digital production system. Now, they need look no further. With the biz-hub PRO 1050e Konica Minolta presents its new high-performance black and white production solution that combines exactly these merits: impressive speed, amazing flexibility, highest solidity and absolute dependability. With Konica Minolta’s proven, advanced precision print technology, the biz-hub PRO 1050e produces outstanding quality at top speed of up to 6,300 pages per hour, making it perfect for just-in-time print jobs – whether print runs are long or short, a fast turnaround is always guaranteed. 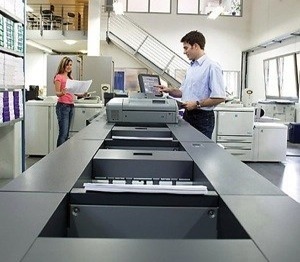 The system’s versatility also encompasses an impressive media flexibility, that extends to 300 gsm paper. Available in a range of 18 different system configurations the biz-hub PRO 1050e integrates into any production environment. Featuring an extensive selection of finishing devices, with a perfect binder as the latest highlight, the biz-hub PRO 1050e offers a virtually unlimited variety of output choices, including saddle-stitched booklets, perfect-bound books of hundreds of pages, mailings with sophisticated folding mechanisms, reports, flyers, and whatever else the discerning customer might desire. biz-hub PRO 1050e. The benchmark in performance and productivity. Copyright 2011 Turn Key Concepts 3510 Mattingly Road, Buckner, KY 40010.